Welcome to Hotel "Old (Dzveli) Metekhi" in Tbilisi, Georgia! It is beautiful and very comfortable hotel where you are going to find very pleasant and cozy atmosphere. From balconies of the Hotel is opening gorgeous view of ancient and historical sites of the city. any country in the world and satellite TV. Prices for the rooms range from 60 to 200 USD including breakfast. Payable by Credit Cards, like Visa and American Express, as well. Payable in Georgian Lari (GEL) at the current selling rate. In your disposal are also laundry and dry cleaner's services; car and post services and, of course, possibility of working in Internet. The hotel ,,Dzveli Metekhi" is located in one of the most ancient and historical areas, which you can reach in just 15 minutes from Tbilisi International Airport, and, it takes only 5 minutes to get to the city center where the Parliament, City Municipality, Opera house and theaters are situated along with Embassies and foreign missions, commercial offices, cafes and restaurants. 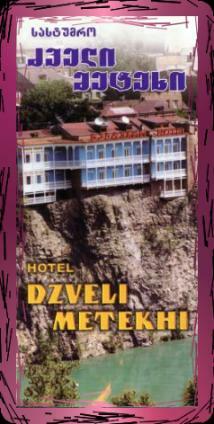 Both businessmen and tourists will encounter a pleasant and cozy atmosphere at the "Dzveli Metekhi" hotel. Unique sites of the old Tbilisi, which can only be seen from the balcony of your room, are breathtaking and unforgettable. And that is not all! In the Hotel you are going to be welcomed with really Georgian hospitality which is seen not only in serving you, but in, what is not to be missed, delicious Georgian-European kitchen. The last, and also, the Bar and good wine-cellar with different tasteful Georgian wines you can find right next-door, in Restaurant"old(Dzveli) Metekhi" that belongs to the Hotel. 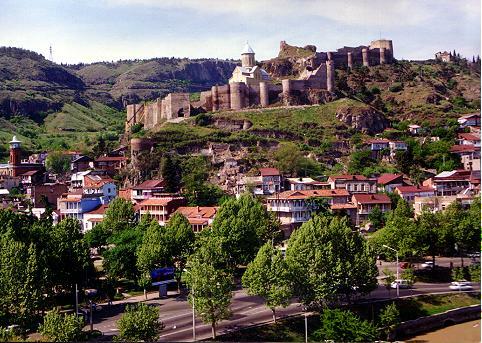 Under agreements with Tour Firms "Old (Dzveli) Metekhi" provides different tours in Tbilisi and mountain regions of the country.